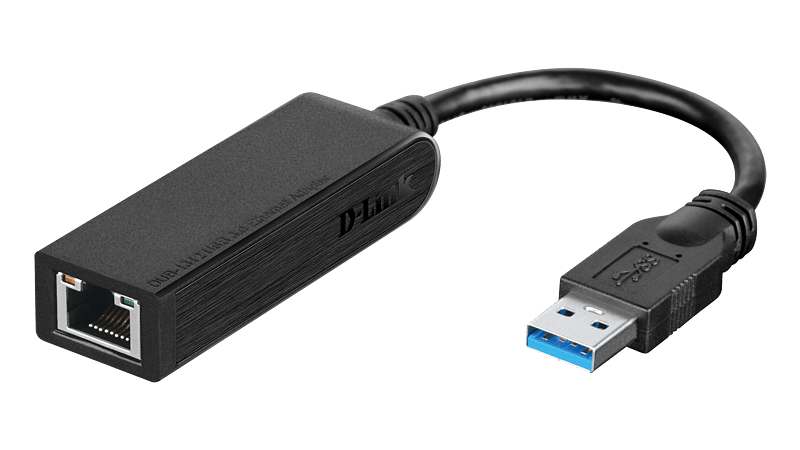 The USB 3.0 Gigabit Ethernet Adapter allows you to instantly add gigabit connectivity to your desktop, notebook, or netbook computer. Combining SuperSpeed USB 3.0 with Gigabit Ethernet connectivity, you can transfers large files in no time, stream high definition movies without buffering, or make light work of backups to a server or network storage device. Simply plug in the DUB-1312 USB 3.0 Gigabit Ethernet Adapter to your computer’s USB 3.0 port and it will be installed and ready in a matter of seconds. The drivers are installed automatically1, there is no need to install additional programs or fiddle around with your computer settings. For extra convenience, the adapter’s compact design means you can easily slip the DUB-1312 into your pocket or laptop bag and take it with you. If you are adding Gigabit connectivity to your desktop, the DUB-1312 eliminates the need to open your computer to install a network card, and it also keeps your computer’s expansion slots free for other uses.